Established in 1937 M & J Ballantyne deliver the highest quality design and craftsmanship. We have delivered many commercial projects from contracts through to restoration. part of our business since 1937.
from M&J Ballantyne, house builders in the Scottish Borders. A prestigious development of bespoke 3,4,5 and 6 bedroom houses and bungalows adjacent to the River Tweed. Modern 2, 3 and 4 bedroom family homes including bungalows occuping a corner of the former Broomlands Estate. M & J Ballantyne Ltd started out as general building contractors thus bringing with us a wealth of knowledge, capability, experience and understanding of both construction and the intricacies of building contracts themselves. Restoration has always been part of our business from the Company’s inception in 1937, in more recent years the value of our experience has been recognised by Clients throughout the South of Scotland and we have been invited to work on some of the most highly regarded listed buildings in the area. We are a multi-disciplinary building contractor and house builder based in the South of Scotland. With over 80 years experience we combine modern architecture and design with a traditional style build. *YOUR HOME MAY BE REPOSSESSED IF YOU DO NOT KEEP UP REPAYMENTS ON YOUR MORTGAGE OR ANY OTHER DEBT SECURED ON IT. 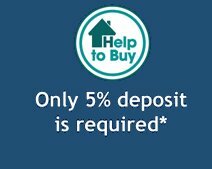 With Help to Buy (Scotland) Affordable New Build scheme, homebuyers with a minimum of 5% deposit can receive an interest free equity stake of up to 15% of the value of their new home from the Scottish Government, which can be repaid at any time, leaving only a 80% mortgage to secure with a lender. The scheme is available on new-build properties across Scotland. The prices of homes supported by the scheme is up to a maximum value of £200,000 for purchases on or before 31 March 2019. Terms and conditions apply.